Clearly Canola wants you to eat healthy and better without you worrying about sacrificing. We are here to improve your lifestyle! 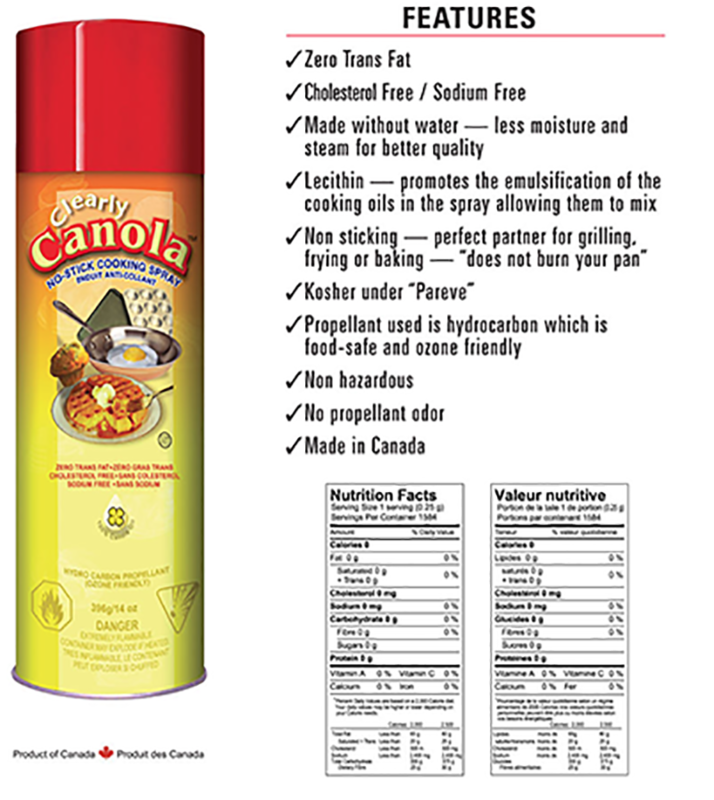 Enjoy the quality and freshness of Clearly Canola cooking spray as you pan fry, bake or roast without ordinary shortening, butter, margarine, cooking oil or grease. Foods won’t stick on pan – serving is easy and so is clean-up. Ideal for use on: griddles, waffle irons, moulds, microwave cooking, barbecue grills, frying pans, baking pans, roasters and all utensils and casseroles. Less moisture and steam for better quality. High Baking Temperature Resistant. 468 degrees F, highest in the market. No harmful chemicals are found in Clearly Canola. What you taste is pure. Promotes the emulsification of the cooking oils in the spray allowing them to mix. Propellant used is hydrocarbon which is food-safe and ozone friendly. Easy to use and safe! 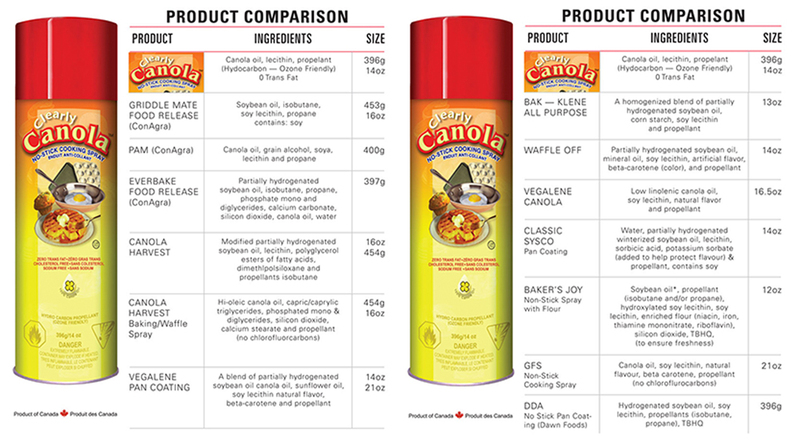 Below you can download our comparison chart to see what makes Clearly Canola different from other non-stick cooking sprays. We are a dedicated team who tries to provide you the best possible service. We are always happy to hear from you, so please let us know your opinions! We strive to provide customers 100% satisfaction in our product!